Environmentalists see Democratic control of both New York’s Senate and Assembly starting in January as a sea change improving prospects for bills protecting the Adirondacks. The November election removed a GOP roadblock in the Senate that has stopped several conservation measures in the past, advocates said. The Assembly kept a Democratic veto-proof majority of 106 seats, with 43 held by Republicans and one by an independent. New York’s new Senate will have 39 Democrats, 23 Republicans and one Brooklyn Democrat who has been caucusing with the Republicans. Hoylman, a lead sponsor of legislation to cut greenhouse gas emissions statewide, said that bill now has “a very good shot” at Senate approval. The bill would require the DEC to promulgate regulations, in consultation with environmentalists and regulated industries, to measure greenhouse gas emissions and set statewide limits; mandate that half of the electricity consumed in New York come from renewable sources by 2030; and require all state agencies to consider climate goals in funding decisions and issuing permits. It passed the Assembly the past two years and didn’t advance out of committee in the Senate. Hoylman has also sponsored legislation to set 2030 as the goal for 100 percent clean energy and net zero greenhouse gas emissions. 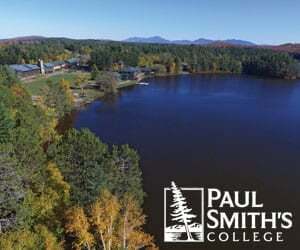 At a North Country Climate Reality conference this fall, State University of New York Plattsburgh researchers said the Adirondacks have warmed—on average 2.5 degrees Celsius above historic norms in winter, mostly since 1980—even faster than much of the world, increasing stress on native species. “It’s just the tip of the iceberg, no pun intended, of what we can do,” Hoylman said. 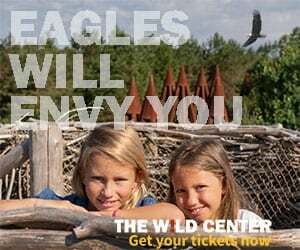 Whether dealing with fracking waste, funding the Department of Environmental Conservation, reducing diesel emissions or moving the state to 100 percent renewables, he said, it’s up to New York to push back as the Trump administration undermines environmental progress. Adirondack environmentalists plan to push legislation that would authorize impounding all-terrain vehicles ridden illegally in state forest preserves; require boat washing to prevent spreading aquatic invasive plants and animals; and establish a constitutional right to clean air and water, among others. Most state legislators for the largely rural North Country, including senators representing pieces of the Adirondack Park, are Republicans, including Sens. Betty Little, Jim Tedisco and Joe Griffo. Their party lost its narrow Senate majority and the clear ability to advance bills or block others. They are giving up committee chairmanships, higher funding for staff, and their leader’s seat at the table where next year’s approximately $170 billion state budget will be negotiated. Minority status generally means the back of the legislative line for local grants and extra funds. Democratic Gov. Andrew Cuomo will drive budget negotiations with his executive proposal in January, detailing his positions on major items like public schools, Medicaid, state agencies and infrastructure, as well as his initiatives. “Certainly with the change in leadership there will be changes,” said Sen. Betty Little, a Queensbury Republican easily re-elected in a district that contains more than half of the Adirondack Park. 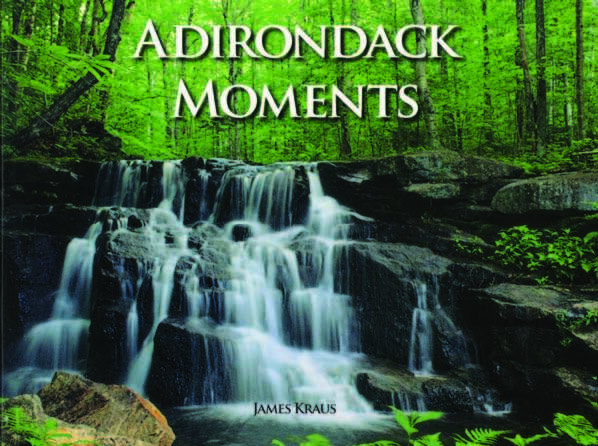 But, she said, “in the last 10 to 12 years we’ve really improved awareness of the Adirondacks” and the need to diversify and balance the economy with the environment. “My priority this year is going to be the cell coverage and the broadband,” Little said. It’s needed for health, safety, education and work by people living in the communities, by second-home residents and by visitors who expect it, she said. She will push for allowing higher cell towers with greater range. 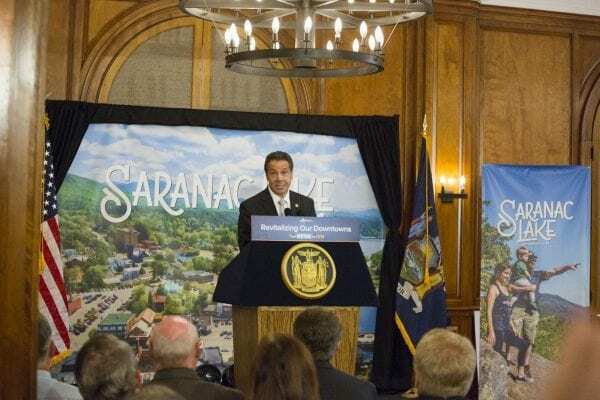 The Cuomo administration holds major sway over increasing funding for more rangers and other staff at the Department of Environmental Conservation in the Adirondack Park and elsewhere, something conservation advocates uniformly want to see. In 2017, rangers conducted 346 search-and-rescue missions, according to the department. They included 177 searches, 147 rescues and 22 bodies recovered. Little said she has asked for more rangers before, the need is critical, and she has been told another training school for new rangers is coming soon. That and other funding measures, such as increasing the Environmental Protection Fund above $300 million a year, “is now a clear move on the board that wasn’t there while we had the governor and the Republican Senate,” said Peter Bauer, executive director of Protect the Adirondacks. The fund pays for acquiring state forest land, protecting farm land, and other conservation efforts. According to the DEC 2017 ranger report, “the most problematic activity” encountered last year was the illegal use of all-terrain vehicles and snowmobiles where they were prohibited. Rangers made arrests and issued 353 tickets and for ATV-related violations and another 220 tickets for snowmobile offenses. Unauthorized use of cars and trucks on state land accounted for another 148 violations reported. The Adirondack Council has long sought a general ban in the law for ATVs on the forest preserve and other state land and will lobby for that with tougher penalties in the upcoming Legislature, Chlad said. Under current law, riders can be fined up to $250 for a violation and jailed for up to 15 days, with other possible penalties for any violations of vehicle and traffic laws, according to the DEC.
A bill reintroduced for several years by Assemblyman Steve Englebright, a Long Island Democrat who chairs the Committee on Environmental Conservation, would establish a general ban on public ATV riding in the forest preserve. It would authorize impounding the machine, requiring a $100 surcharge for the owner to get it back, dedicating that money to enforcement. “Prohibiting ATV use on the Forest Preserve will avoid the ‘creep’ of ATV access through the Unit Management Planning process,” Englebright wrote in his sponsor’s memo earlier this year. The DEC administratively limits ATV use on public land it manages. According to the department, there is currently no public use of ATVs allowed on forest preserve lands in the Adirondack and Catskill parks beyond disabled-access corridors that require permits. Englebright’s bill would allow them only for disabled riders, emergency responders and DEC staff on certain designated roads and trails, essentially codifying current restrictions. 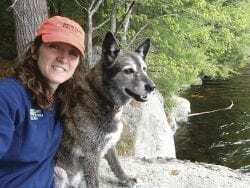 “But on the lands that have conservation easements on them, we should be able to allow it on logging roads and the trails that are there,” Little said. Right now on those 780,000 acres of private forest lands subject to DEC oversight, that access is “extremely limited,” she said. The New York State Off-Highway Recreational Vehicle Association supports ATV and off-highway motorcycle access. The group has advocated raising the allowable weight limit and definition for registered ATVs, in part to include side-by-sides, legislation that failed to advance in the Democratic-controlled Assembly. Association President Jeffrey Binga said most riding opportunities in New York are on private land managed by clubs. The DEC has generally opposed it on state land except for some pass-throughs between certain trails and limited disabled rider access, he said. “The DEC won’t even consider trails on state property that in their terms are ‘round and round’ kind of trails,” Binga said. He questioned why 100,000 acres of state land in the Southern Tier and western New York couldn’t be designated open to ATV use, taking pressure off sensitive areas like the Adirondacks. The Adirondack Council plans to advocate next year to make boat inspections and washing mandatory to stop invasive species from being transferred from one lake to another, Chlad said. The Lake George Park Commission has operated several inspection stations and required inspections of trailered boats, with decontamination with 140-degree water if found unclean, before they can launch there. That applies to motorboats, personal watercraft, jet skis and sailboats. It does not apply to canoes, kayaks and other car-top craft. Lake George currently has five invasive species—Eurasian milfoil, curly-leaf pondweed, zebra mussels, Asian clams and spiny water fleas—and more than $7 million has been spent over two decades trying to control them, according to the commission. Little questioned how mandatory inspections could work for all New York or even all Adirondack lakes since many people launch their boats from their own waterfront property and it would be expensive, noting the Lake George program has cost about $700,000. Continued education, including more signage and notices and more available washing stations, would be better, she said. An environmental rights amendment to the New York Constitution passed the Assembly the past two years by overwhelming margins. It died twice in the Republican-controlled Senate Judiciary Committee. The proposed amendment states: “Each person shall have a right to clean air and water, and a healthful environment.” It would have to be approved twice by the Legislature and then by voters in a referendum. “I think we could have that as part of the constitution by 2021,” said Neil Woodworth, chief executive of the Adirondack Mountain Club. The APA currently is considering a subdivision at Woodward Lake in the southern Adirondacks and possible clustering requirements under a revised approval process. The APA itself has contended the legislation isn’t needed. “That will be the test,” Gibson said of the APA case. It’s unclear whether the Cuomo administration would back a new set of requirements imposed by lawmakers. Woodworth also predicted another previously Assembly-passed measure—to ban New York wastewater-treatment plants and landfills from accepting waste from hydraulic fracturing—now will pass the Senate and be signed by the governor. The Cuomo administration in late 2014 banned fracking for natural gas within the state, citing concerns over health risks. 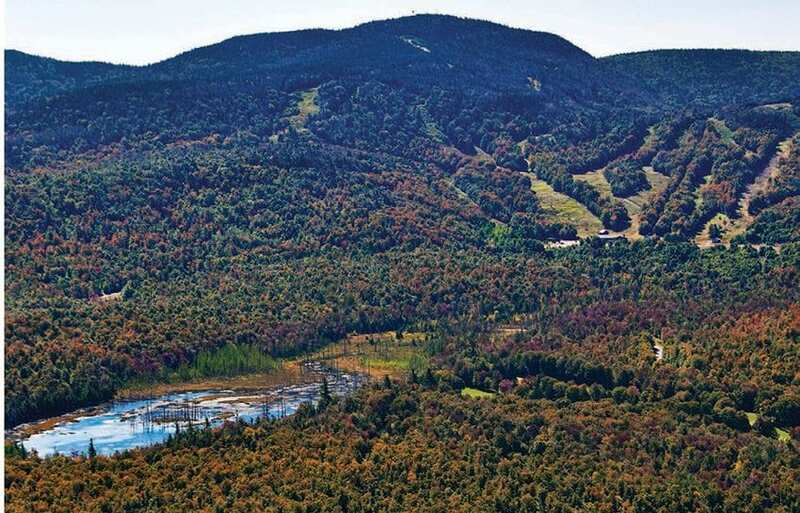 Adirondack Wild plans to ask lawmakers to set a deadline for mining and mineral sampling that voters authorized for a 200-acre piece of the forest preserve’s Jay Mountain Wilderness under a constitutional amendment five years ago, Gibson said. The amendment was intended to save local jobs, but instead the mine owner, NYCO Minerals, sold its operations and assets to a Paris-based company that has laid off or reassigned workers. The company has yet to seek the land swap that would enable mine expansion. It is unfortunate that we have a federal house rep that although touts “concern” votes consistantly to reduce environmental standards will have a long term effect on our base industries such as logging and tourism.